Write a PHP program to compute the sum of the prime numbers less than 100. Note: There are 25 prime numbers are there in less than 100. 2, 3, 5, 7, 11, 13, 17, 19, 23, 29, 31, 37, 41, 43, 47, 53, 59, 61, 67, 71, 73, 79, 83, 89, 97 and sum of all these numbers is 1060. 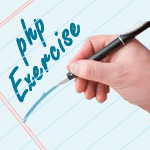 Previous: Write a PHP program to test if a given string occurs at the end of another given string. Next: Write a PHP program to valid an email address.